Data have been emerging for a while to suggest that a new imaging agent known as anti-3-[18F]FACBC (when used in PET/CT scans may be better than [11C]choline in the identification of recurrent (or primary) cancers on PET/CT scans or than older agents like [111In]capromab pendetide (Prostascint) when used in SPECT/CT scans. Anti-3-[18F]FACBC is properly known as anti-1-amino-3-[18F]fluorocyclobutane-1-carboxylic acid. It is an amino acid analog containing radioactive fluorine-18 (i.e., 18F) that is being investigated as a “radio-tracer” — most specifically for the early identification of micrometastatic or ineffectively treated primary prostate cancer in patients with apparently recurrent disease. A small number of articles on the early use of this product have been published, and we will list these below. However, the most recent is an article just published on line in the Journal of Urology (by Schuster et al. from Emory University in Atlanta). Schuster et al. conducted a small, prospective clinical trial to compare the effectiveness of anti-3-[18F]FACBC) PET/CT scanning to that of [111In]capromab pendetide SPECT/CT scanning in the detection of recurrent prostate cancer. The trial enrolled 93 patients, all of whom received both types of scan within a period of 90 days. 91/93 patients (98 percent) provided sufficient data for consensus as to presence or absence of cancer in either the prostate or the prostate bed (depending on the prior treatment of the patient). The sensitivity of anti-3-[18F]FACBC was 90 percent. The sensitivity of [111In]capromab pendetide was 67 percent. The specificity of anti-3-[18F]FACBC was 40 percent. The specificity of [111In]capromab pendetide was 57 percent. The accuracy of anti-3-[18F]FACBC was 74 percent. The accuracy of [111In]capromab pendetide was 64 percent. The positive predictive value or PPV of anti-3-[18F]FACBC was 75 percent. The PPV of [111In]capromab pendetide was 75.9 percent. The negative predictive value or NPV of anti-3-[18F]FACBC was 67 percent. The NPV of [111In]capromab pendetide was 46 percent. The sensitivity of anti-3-[18F]FACBC was 55 percent. The sensitivity of [111In]capromab pendetide was 10 percent. The specificity of anti-3-[18F]FACBC was 97 percent. The specificity of [111In]capromab pendetide was 87 percent. The accuracy of anti-3-[18F]FACBC was 73 percent. The accuracy of [111In]capromab pendetide was 43 percent. The PPV of anti-3-[18F]FACBC was 75 percent. The PPV of [111In]capromab pendetide was 50 percent. The NPV of anti-3-[18F]FACBC was 62 percent. The NPV of [111In]capromab pendetide was 42 percent. 74/77 (96 percent) of the index lesions used to prove true positivity were histologically positive for prostate cancer. Anti-3-[18F]FACBC identified 14 more true positive prostate bed recurrences than [111In]capromab pendetide (55 vs. 41). Anti-3-[18F]FACBC identified 18 more patients with extraprostatic involvement than than [111In]capromab pendetide (22 vs. 4). Anti-3-[18F]FACBC PET/CT correctly upstaged 18/70 cases (26 percent) in whom there was consensus for presence or absence of extraprostatic involvement. anti-3-[18F]FACBC PET-CT demonstrates better diagnostic performance than 111In-capromab-pendetide SPECT-CT for prostate carcinoma recurrence, detecting significantly more prostatic and extraprostatic disease. Schuster DM, et al. Detection of recurrent prostate carcinoma with anti-1-amino-3-18F-fluorocyclobutane-1-carboxylic acid PET/CT and 111In-capromab pendetide SPECT/CT. Radiology. 2011;259:852-861. Amzat R, et al. Unusual presentations of metastatic prostate carcinoma as detected by anti-3 F-18 FACBC PET/CT. Clin Nucl Med. 2011;36:800-802. Nanni C, et al. Comparison of 18F-FACBC and 11C-choline PET/CT in patients with radically treated prostate cancer and biochemical relapse: preliminary results. Eur J Nucl Med Mol Imaging. 2013;40 Suppl 1:S11-S17. Nanni C, et al. The detection of disease relapse after radical treatment for prostate cancer: is anti-3-18F-FACBC PET/CT a promising option? Nucl Med Commun. 2013:34:831-833. Nanni C. et al. 18F-FACBC compared with 11C-choline PET/CT in patients with biochemical relapse after radical prostatectomy: a prospective study in 28 patients. Clin Genitourin Cancer. 2013 [e-pub ahead of print]. Being a lay person, I take it to mean that the prostate “bed” mentioned in the article means that the cancer was confined to the prostate and therefore this imaging is for people without having cancer that has already spread from the prostate. Is this this case? 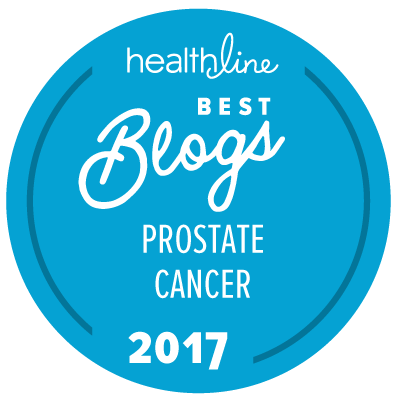 Is performing a scan now considered standard of care in a patient who has had previously treated prostate cancer but who subsequently shows a rising PSA? Could treatment for such a patient be postponed if the scan is negative? Should all patients have a scan prior to primary treatment of cancer in order to guide treatment decisions? No. The prostate “bed” is the tern used to refer to the area surrounding where the prostate used to be before it was surgically removed in men who have undergone radical prostatectomy. No. As far as I am aware there is no well-defined “standard of care” regarding the use of imaging to define where cancer may have recurred in a man with a rising PSA after first-line treatment. A variety of types of imaging may or may not be appropriate, but that depends on the patient’s individual circumstances and the types of imaging technology available.